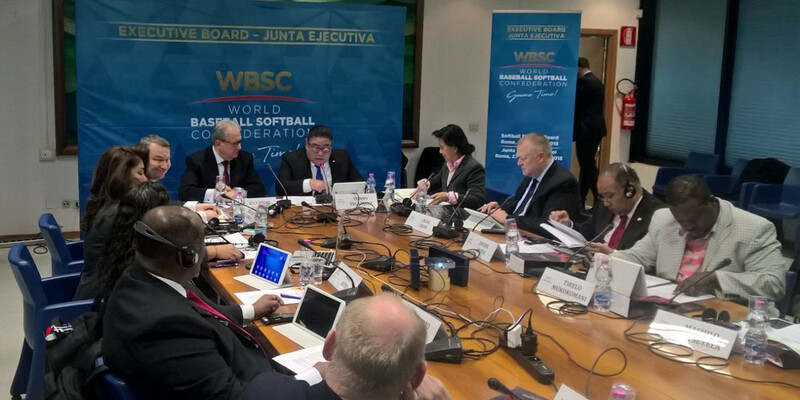 •	InsidetheGames Monday, 12 February 2018 The World Baseball Softball Confederation (WBSC) Board discussed how they can keep the sports on the Olympic programme after they make their return at Tokyo 2020 following two Games away. WBSC President Riccardo Fraccari started the meeting in Italian capital Rome by reiterating that baseball and softball, although different sports, belong to the same family and are both under the umbrella of the WBSC. "Baseball and softball are in the programme of the Tokyo 2020 Olympics," he said. "As I said many times, now our priority is to make it to the programme of the Paris 2024 Olympics. "For that to happen, baseball and softball need to be picked by the Organising Committee. "We will form a group of people to work on the various issues." Baseball and softball are making their Olympic comeback at Tokyo 2020 following their removal from the programme after Beijing 2008. Fraccari brought up several of those issues in the meeting, including problems with Games venues. "WBSC and other stakeholders need to commit to a project that relieves the organisers from the burden of identifying and funding a proper venue," he said. "We are considering that as we build our budgets." Fraccari also told the Board about the sport's need for more exposure and said that the organisation will be looking to have coverage from every WBSC competition in the future. WBSC have recently announced reforms to their World Championship format in a bid to make the sport more accessible to others, which they also hope will help keep them on the Olympic agenda. "We need to make them [baseball and softball] more appealing," Fraccari said. "We need to attract interest in order to give value to our tournaments. "Softball has a strong and committed community and we want to provide them with a platform to watch international tournaments. "WBSC will invest a lot in this project and hopefully continental and national federations will share their competitions on this platform." Italian Olympic Committee President Giovanni Malagò was also in attendance in Rome and had encouraging words for WBSC about baseball and softball's inclusion at Paris 2024. "The decision will be made in Italy," he said. "So, let's say we will play on home turf."